12,46 € HT12,46 € tax incl. Cropped white, female model, 67% polyester fabric and 33% cotton. Cropped white, female model, polyester fabric 67% and 33% coton.2 side pockets, two elastic waist for comfort, zip fly, low setting leg 2 blockers. 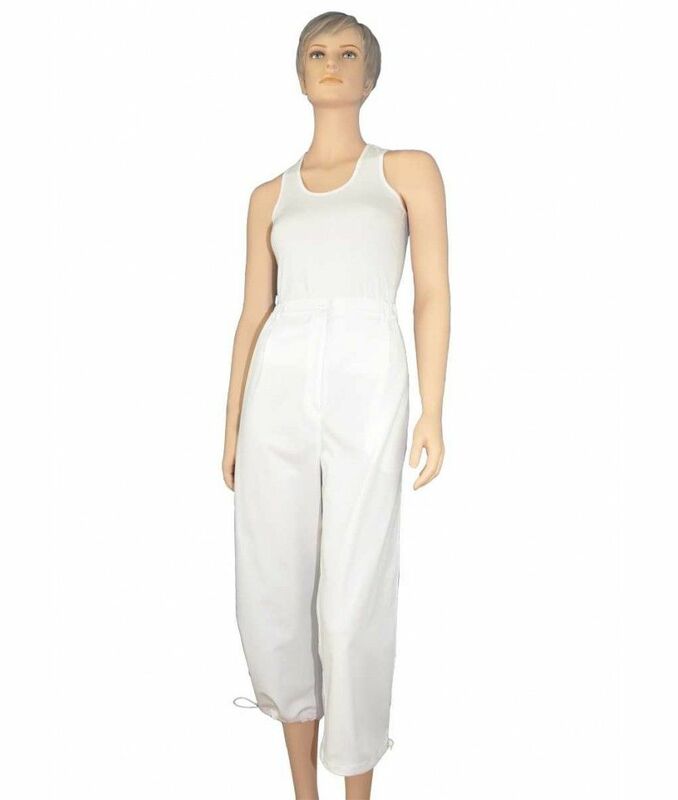 Product : Pantacourt blanc - Cropped white, female model, 67% polyester fabric and 33% cotton.